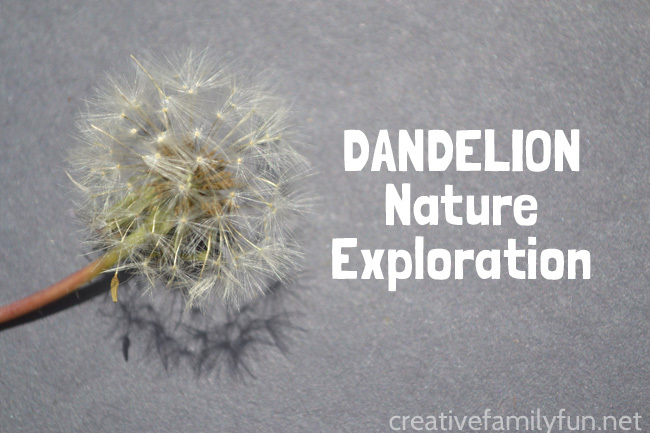 Most adults see the dandelion as a weed, but to kids it’s magical. My girls constantly pick me beautiful dandelion bouquets. They blow the seeds and watch them fly. In a child’s eye, this sometimes pesky weed is beautiful. 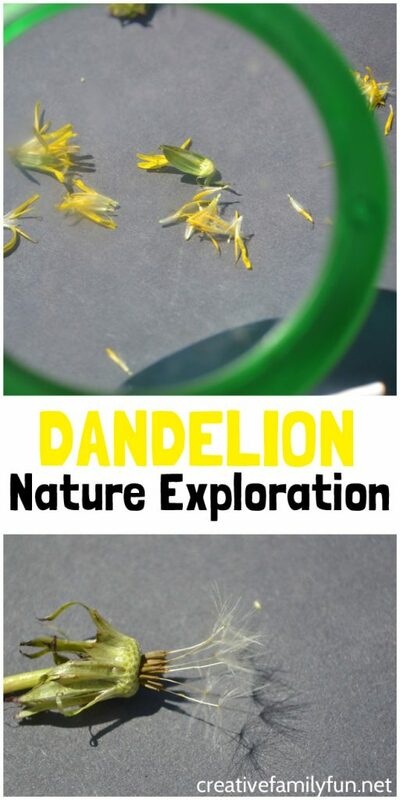 So, we’re going to take this natural fascination and use our backyard as a science lab while we explore dandelions and learn the parts of a dandelion. We started our explanation of the dandelion with a book. 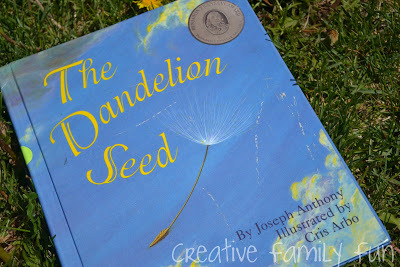 We read The Dandelion Seed by Joseph Anthony and followed along on a dandelion seed’s journey. It was a fascinating journey and one we could explore ourselves. After we were done, I sent the girls off to find some dandelions. We were going to look closely at the flower and the seed. We tore the petals off the flower and picked the seeds off to look at them closer. 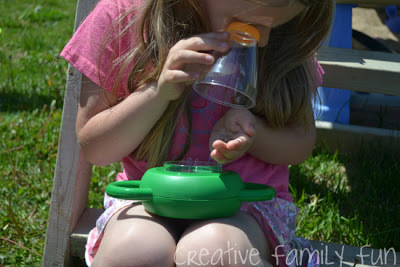 Then, we tested our observation skills and learned about flowers. We looked at the seed head, which is the round part of the flower that the seeds were attached to. We also looked at the hollow stem of the dandelion. Finally, we examined the seeds themselves. If you want to try this lesson yourself, you will need nothing more than a magnifying glass. I also brought out a piece of black paper to help us observe the small parts. You can see the tiny parts of a dandelion much better on the plain, dark background. How does a dandelion seed fly through the air? What part of a dandelion flower becomes the seed? Can you see the white fluffy part when you pull the petals from the flower? Why do you think there are so many dandelions? We used our notebooks and drew all the different things a seed needs to grow. We drew the sun, water, and roots and we also drew a dandelion seed. 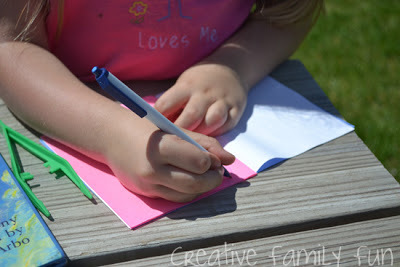 Our little notebooks are turning into a fun nature journal. 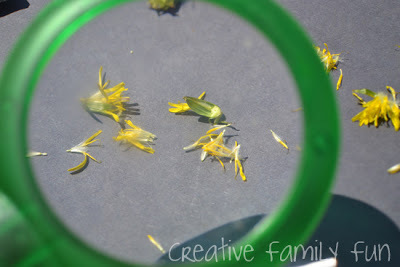 Have you ever spent time examining a dandelion? 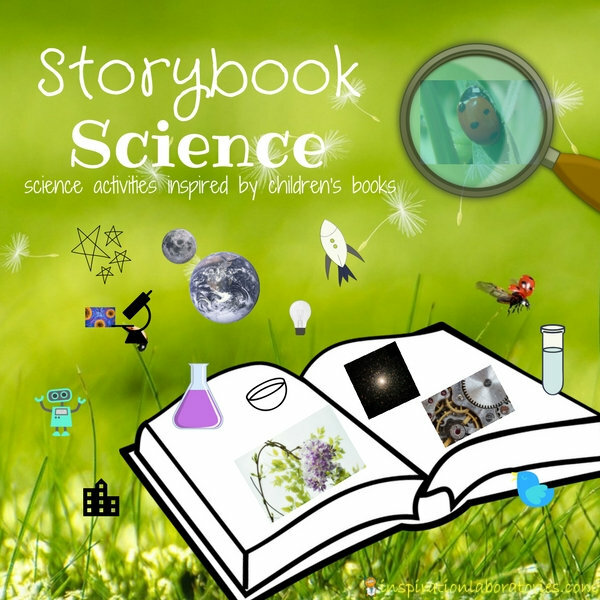 If you’d like more science projects inspired by fun children’s books, you can check out the Storybook Science series. Check it out here to find all the fun projects. I’m sure you’ll want to try them all! For our nature exploration we used the book The Dandelion Seed, which was written by Joseph Anthony and illustrated by Chris Arbo. 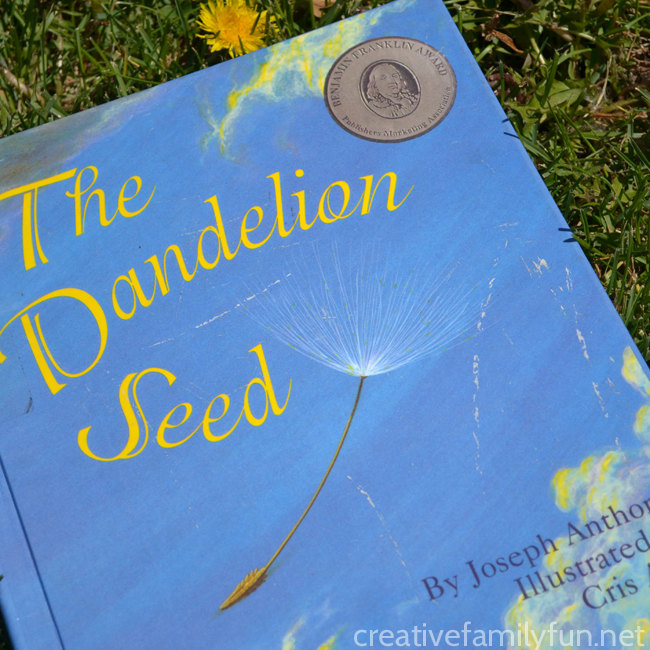 It’s a delightful book with lovely illustrations so you can follow a dandelion seed’s journey and learn about the life cycle of a seed. You can buy it here: The Dandelion Seed. And also, check out the sequel: Dandelion Seed’s Big Dream.